The life expectancy and overall performance of tyres is a key consideration for hauliers. The Westlake brand has made significant inroads in the Irish tyre market in recent years and is fast becoming the tyre of choice for those involved in the transport sector. Smart consumers look for everyday value and Westlake tyres delivers with its uncompromising commitment to a perfect balance in their tyres-performance, value, and quality. Westlake offers an expansive line of tyres that cover passenger, performance, light truck, SUV, trucks and buses and OTR tyres. Found in 1958, the company employs over 20,000 people and produces over 20 million consumer tyres, nearly 10 million commercial tyres and over 4 million bias commercial tyres making it one of the largest and top tyre manufacturers in the world. The number one tyre manufacturer in mainland China, Westlake came in at number 10 of top 75 global tyre manufacturers in 2017. Westlake Tyres Ireland are the official distributor in Ireland and Irish hauliers are beginning to embrace this burgeoning brand. Quality tyres and comprehensive stocks at the most competitive prices are combined with cutting edge technology to give Westlake’s customers the all-round package. 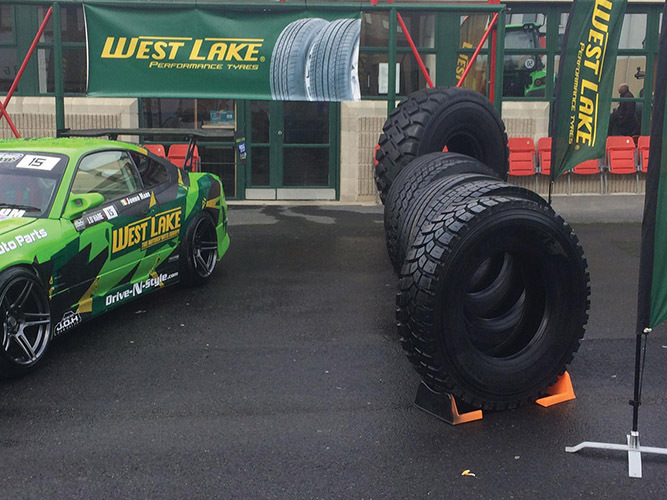 They started distributing Westlake tyres three years ago. Their intention originally was to operate on a wholesale basis supplying direct to the trade but a problem they encountered at the start was that they had to get hauliers to put them on their trucks to get them recognised in the first place. As a result, Westlake Tyres Ireland ended up selling direct to hauliers but significant progress has been made since then and today their business is split 50-50 between supplying direct to hauliers and the tyre trade in general. Westlake truck and bus tyres deliver optimal performance applied them to long-haul trucks, regional, mixed service, urban and winter. They also provide customers with fuel efficiency, high mileage and long tyre life, as well as the retread ability. Industrial tyres are those tyres used on the wheels of heavy equipment and machinery in the manufacturing, construction, military, transportation, warehouse and production industries. Westlake’s industrial tires provide excellent performance in all working conditions with the features of long tyre life and outstanding durability. Off-the-road tyres include tyres for construction vehicles such as wheel loaders, backhoes, graders, trenchers as well as large mining trucks, which is capable of driving on and off paved or gravel surface. Westlake’s OTR tyres have great grip, excellent traction and strong tyre casing promising a valuable performance. The agricultural tyre classification includes tyres used on farm vehicles, typically tractors, harvesters and other specialty vehicles. Westlake Agricultural tyres provide customers excellent traction, easy self-cleaning, and good durability. With an extensive selection of tyres available, Westlake Ireland offer next day delivery. Their team of four employees boast extensive industry knowledge and, as a consequence, their customers receive the highest quality service they can rely on. With the Westlake brand, they have tyres that can meet all of their customers’ requirements. Hauliers that have switched to Westlake tyres haven’t been disappointed because of the quality and value they provide. Westlake tyres are up there with the best and they have received a good response from customers who have made the switch. They offer the customer value for money and the many hauliers around the country who have already tried them out, have generally liked them and decided to stick with them. The tyres were actually tested for the European market on new trucks in Germany and word of mouth has proven to be very positive for Westlake Ireland. While they do have budget tyres in stock, Westlake tyres are not in the budget market. They take great pride in the quality and value of their tyres. Spreading the Westlake gospel is top of Westlake Ireland’s priorities at this point in time. They are getting the Westlake name out there and are optimistic about the future. 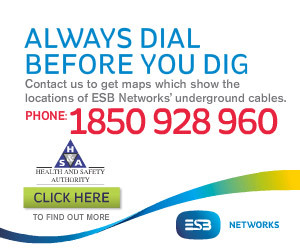 To find out more about the Westlake brand, contact Westlake Tyres Ireland at the numbers above.